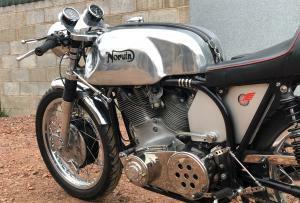 As Can Be Seen In The Photos Its In Wonderful Condition Having Been Cherished By Each Of The Previous Owners. 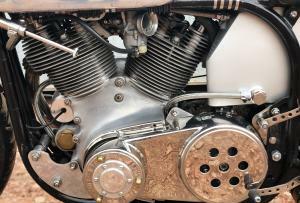 History File And Video . 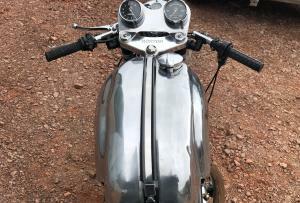 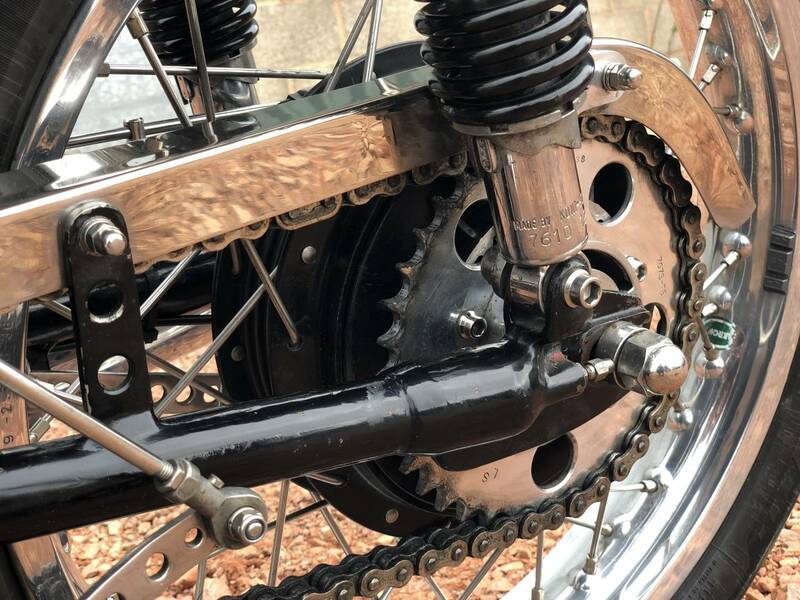 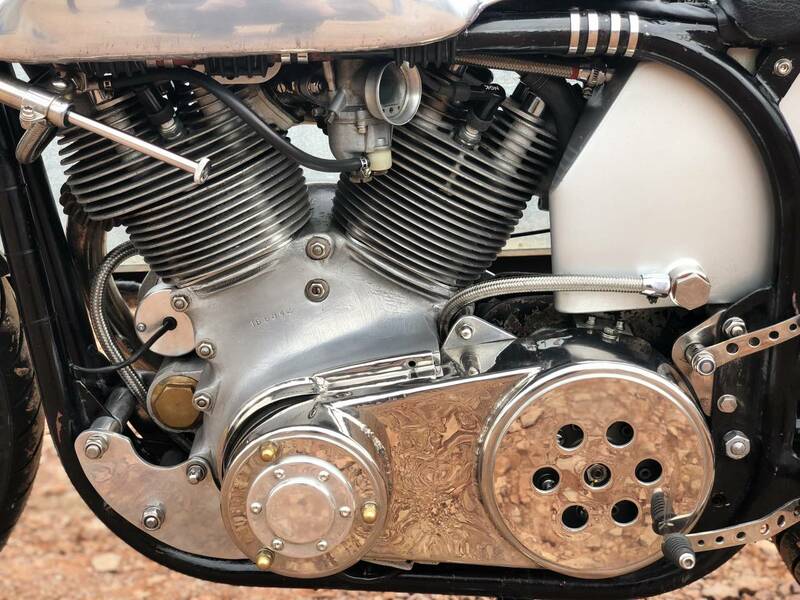 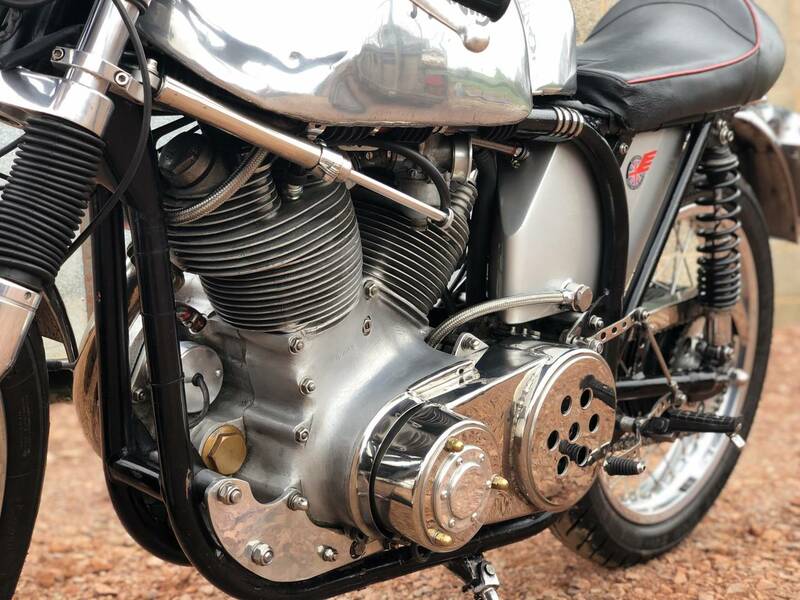 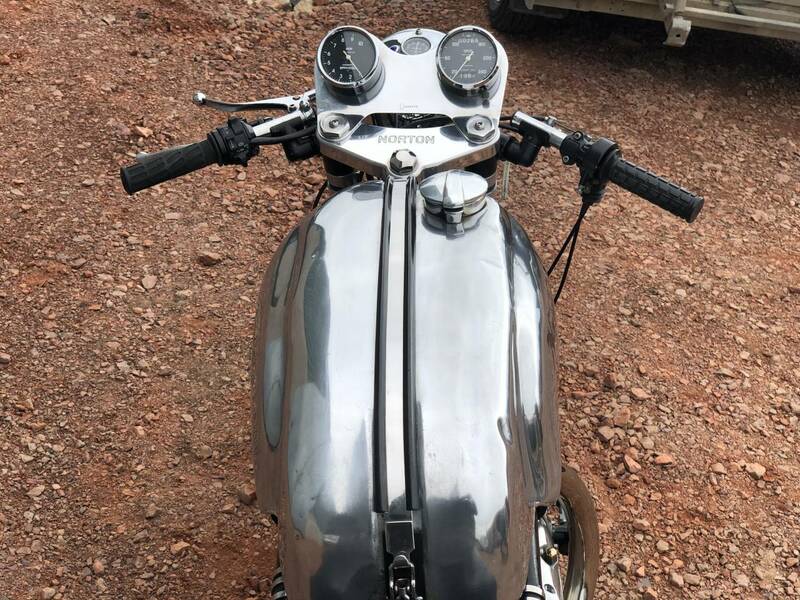 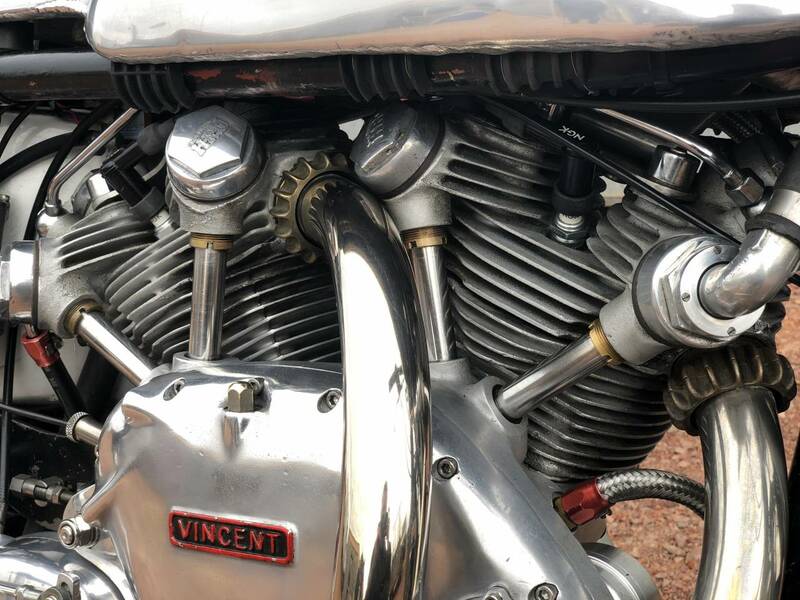 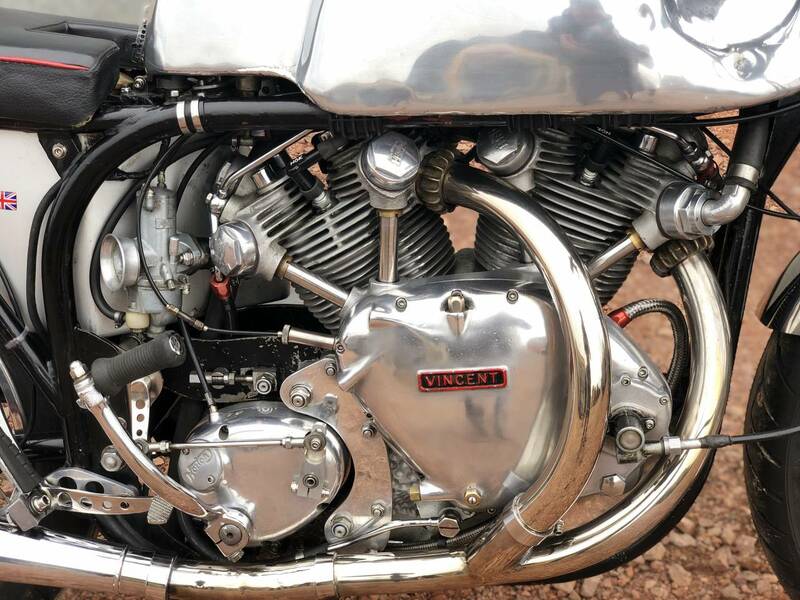 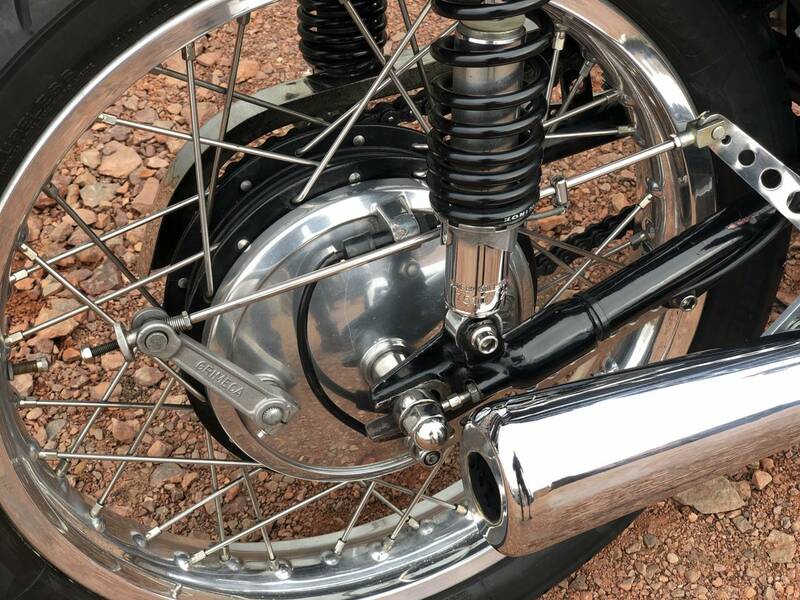 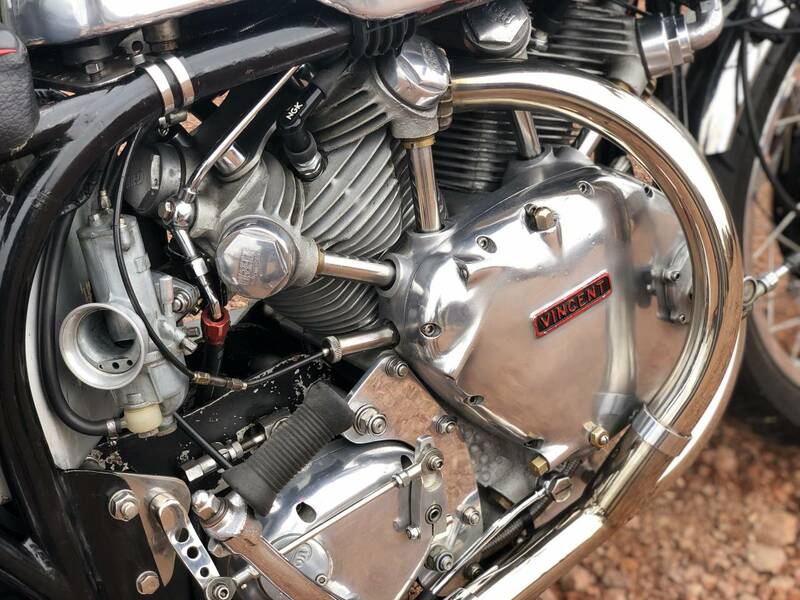 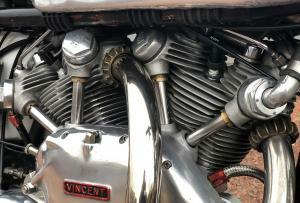 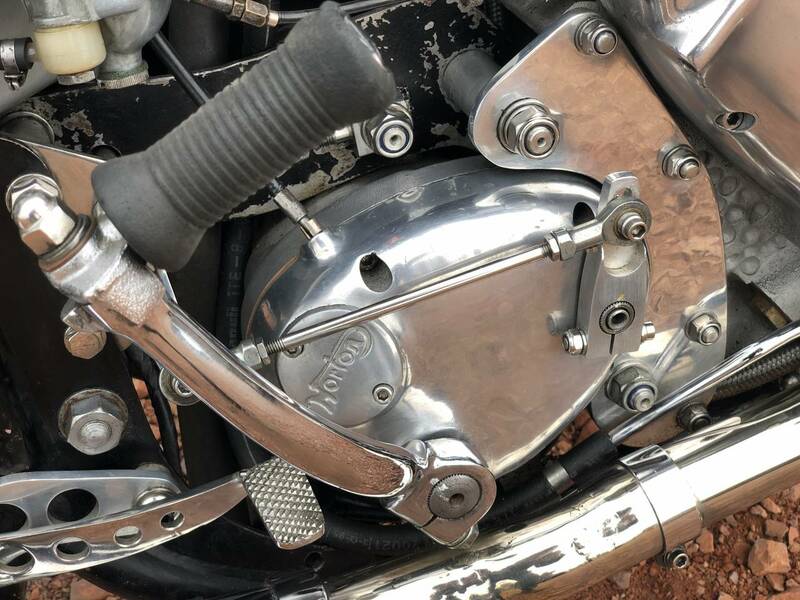 Starts First Swing, Sounds Great And Rides Lovely Too A Rare Chance To Own A Big Vincent Twin In Superb One Off Condition . 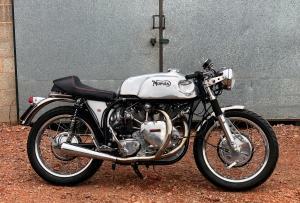 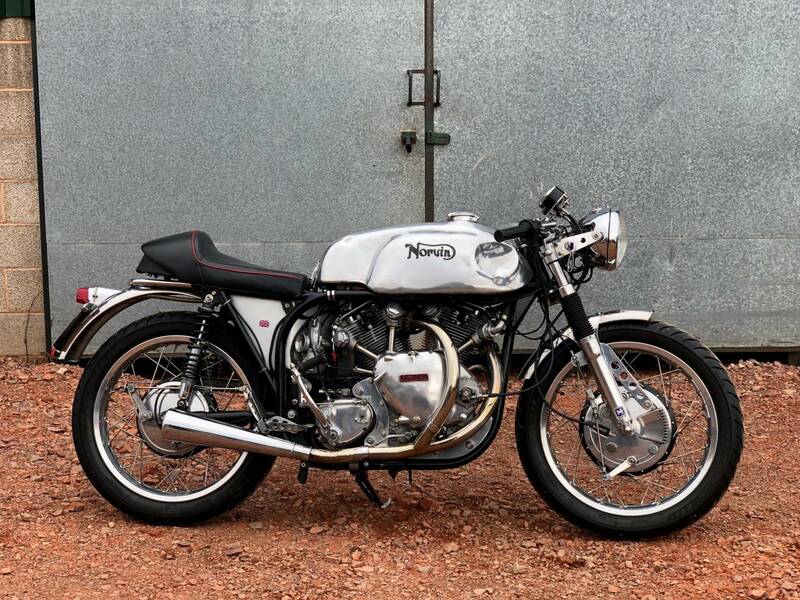 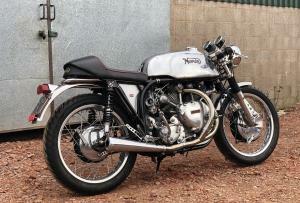 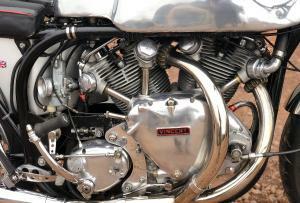 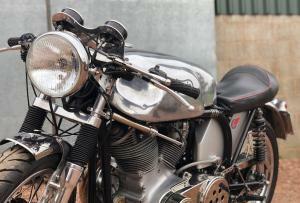 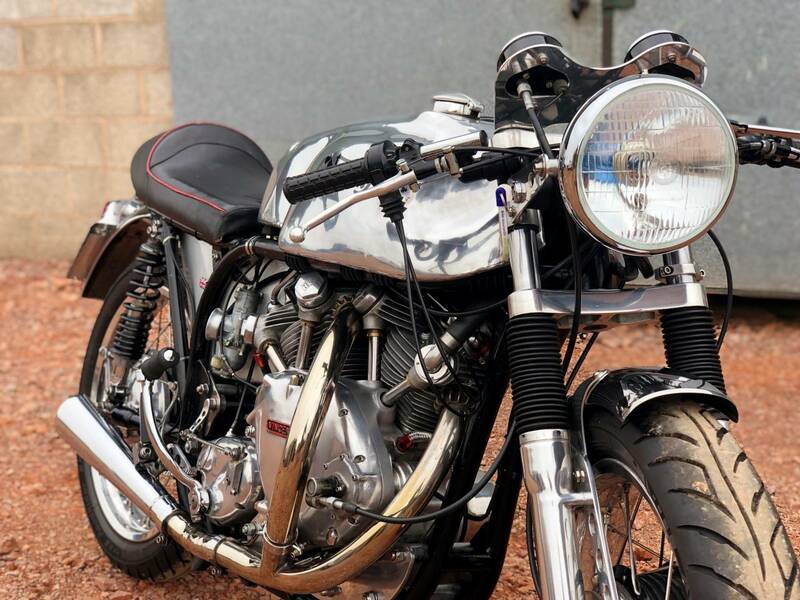 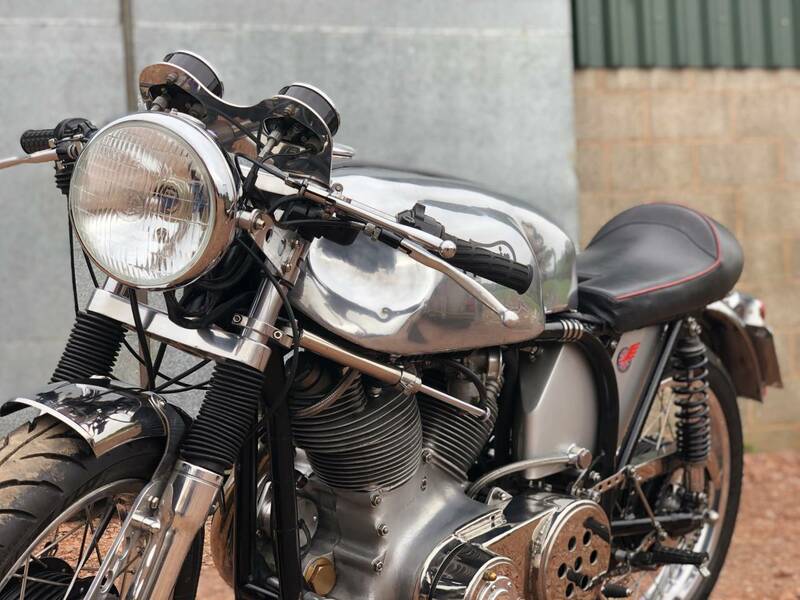 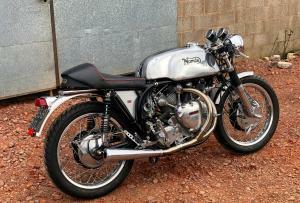 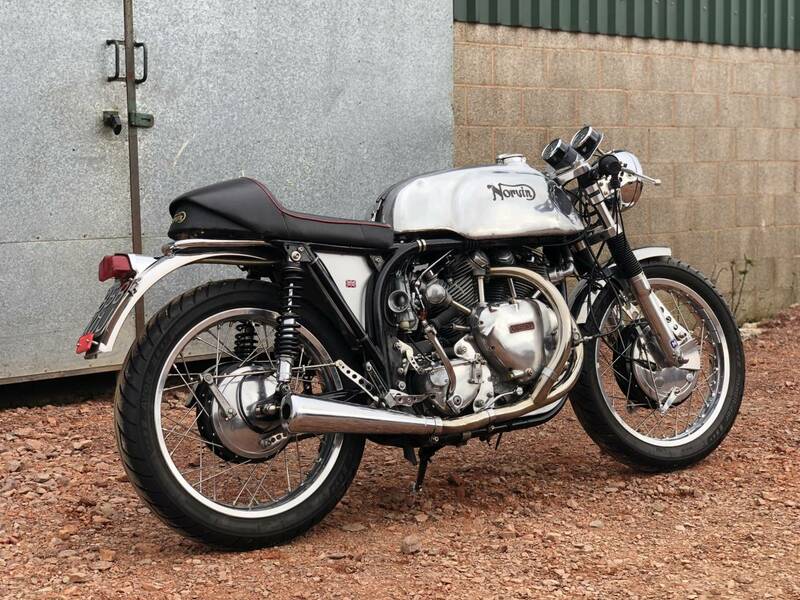 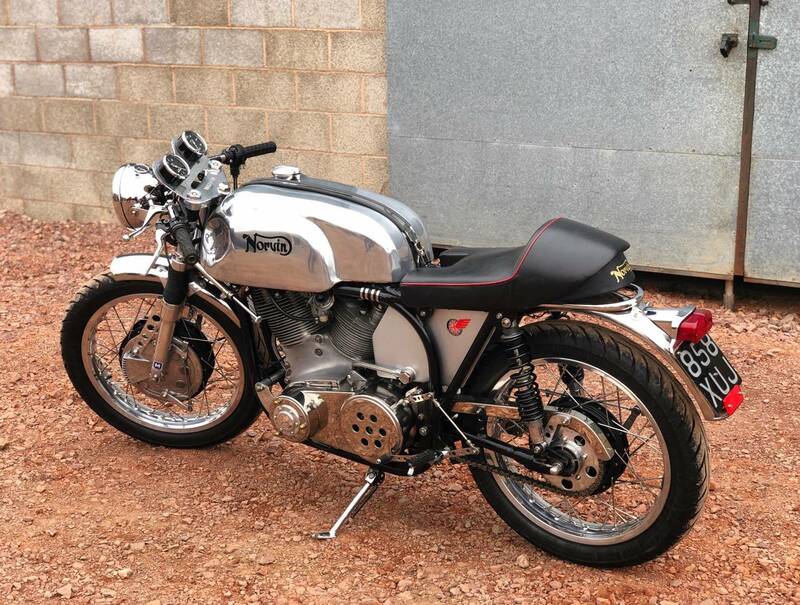 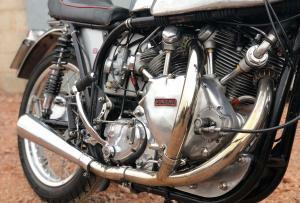 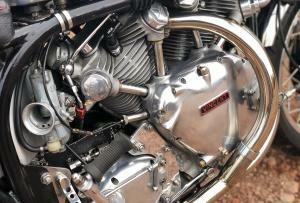 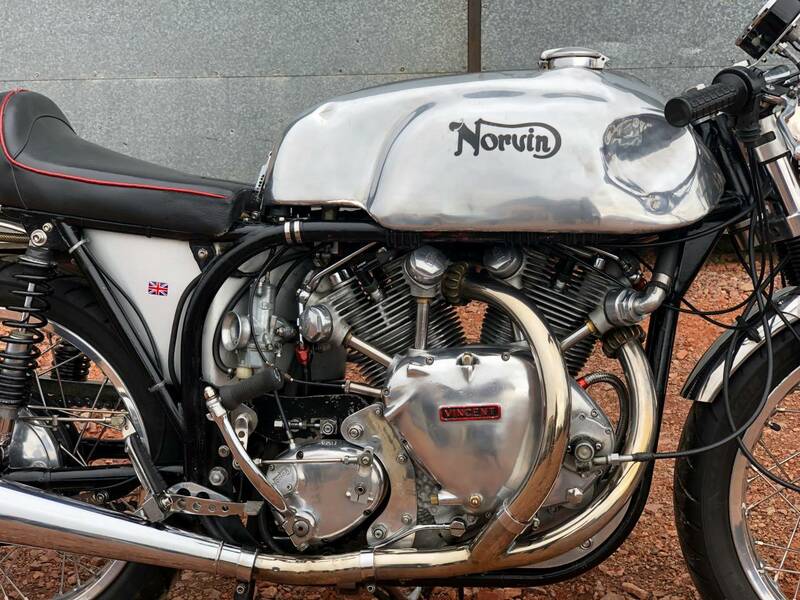 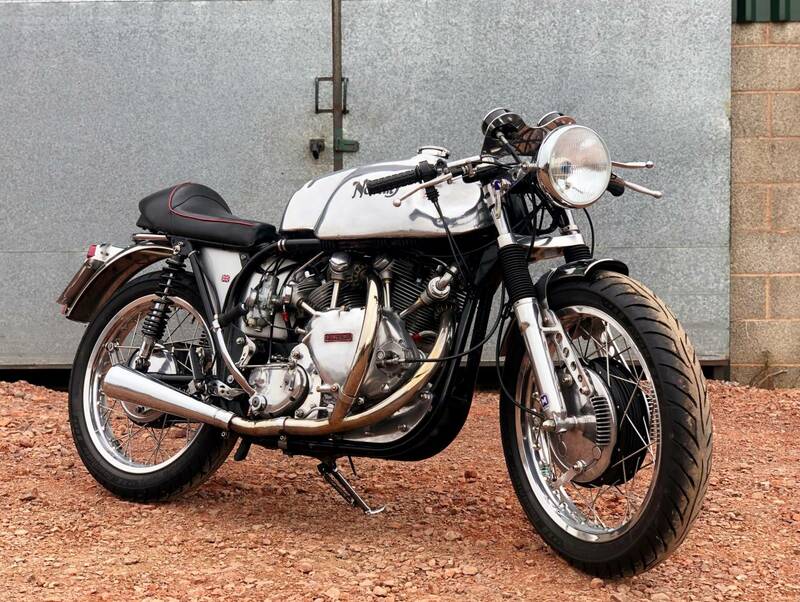 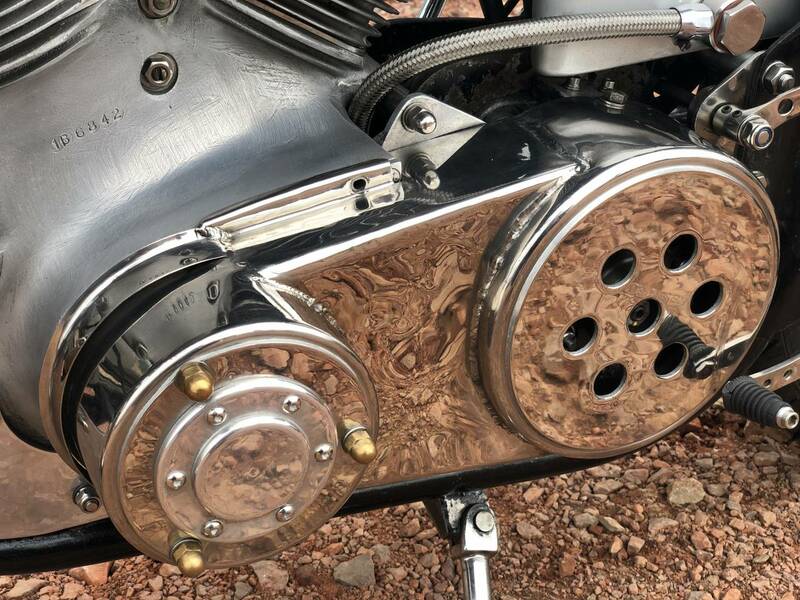 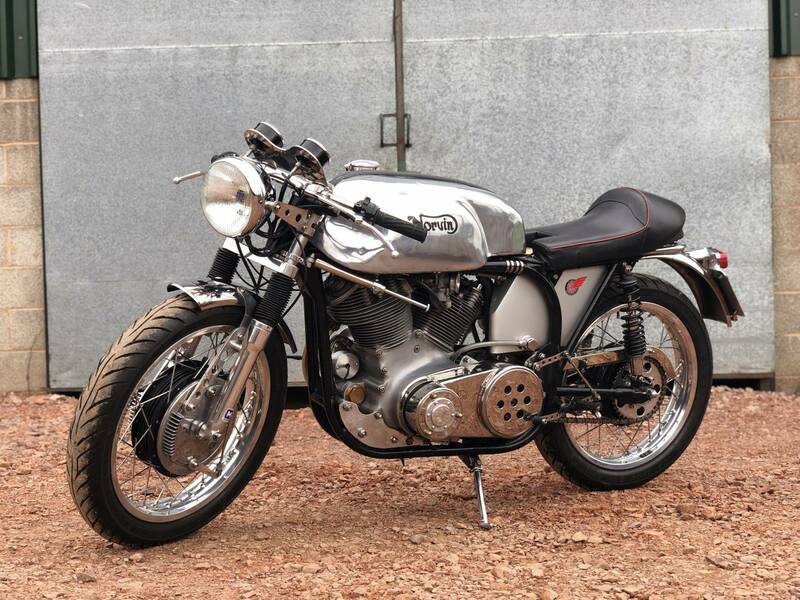 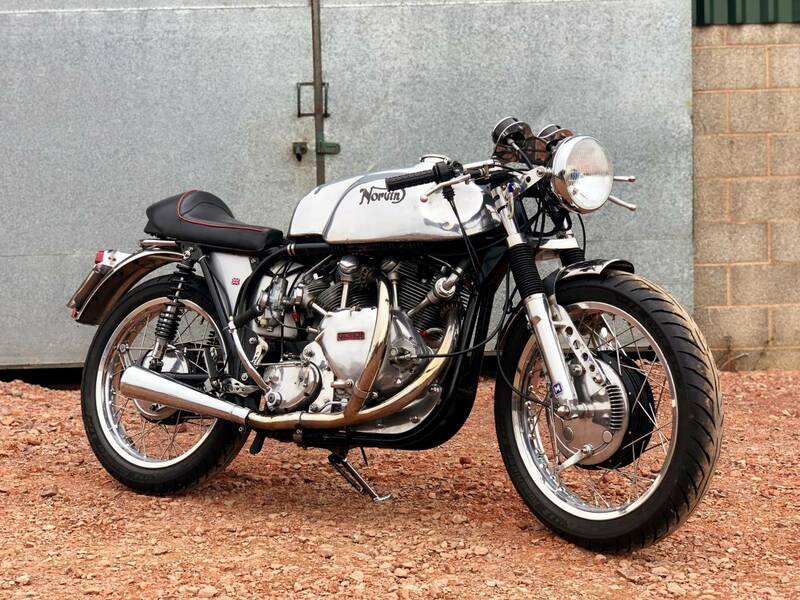 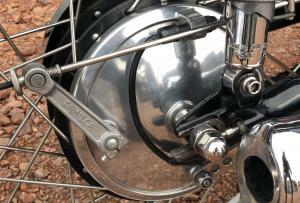 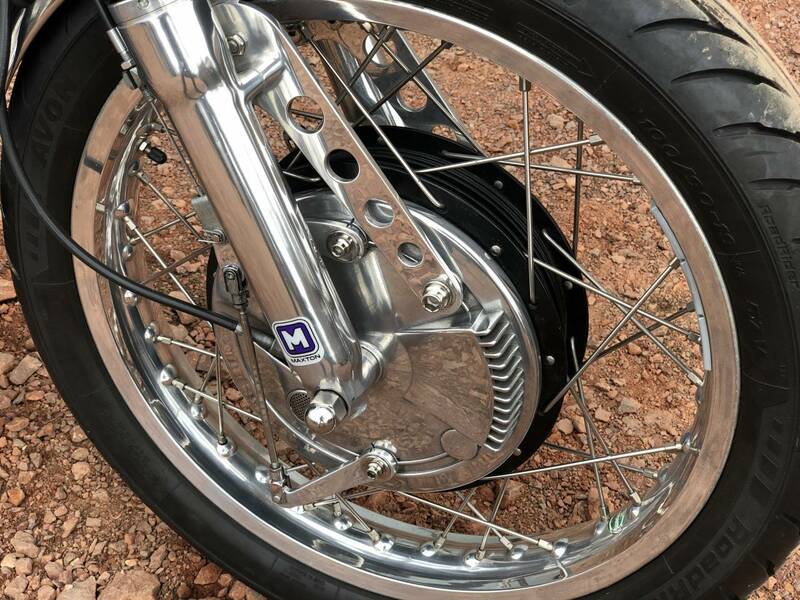 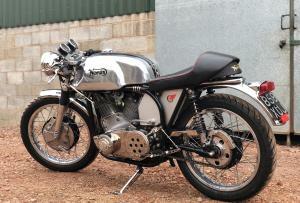 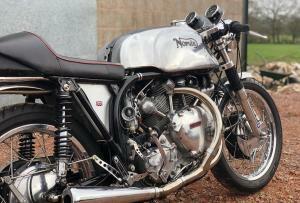 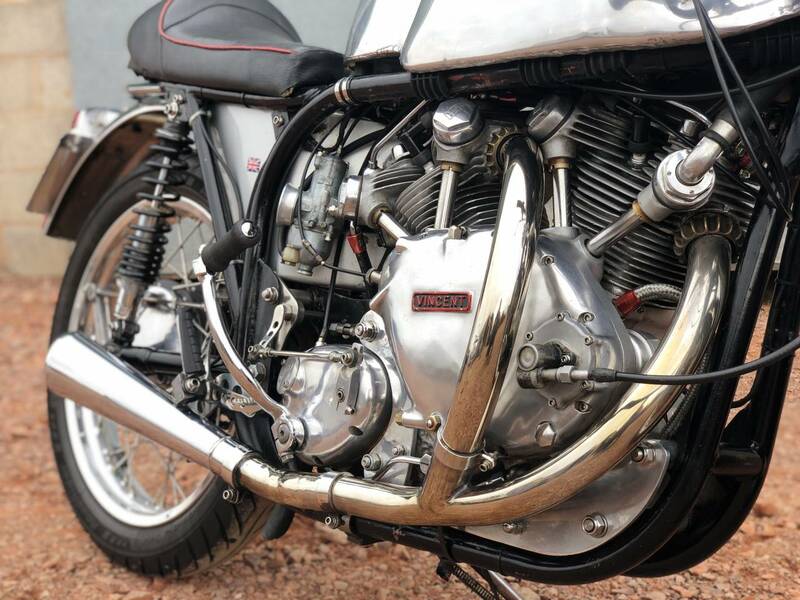 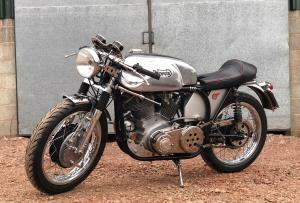 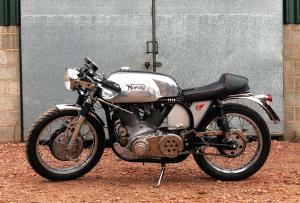 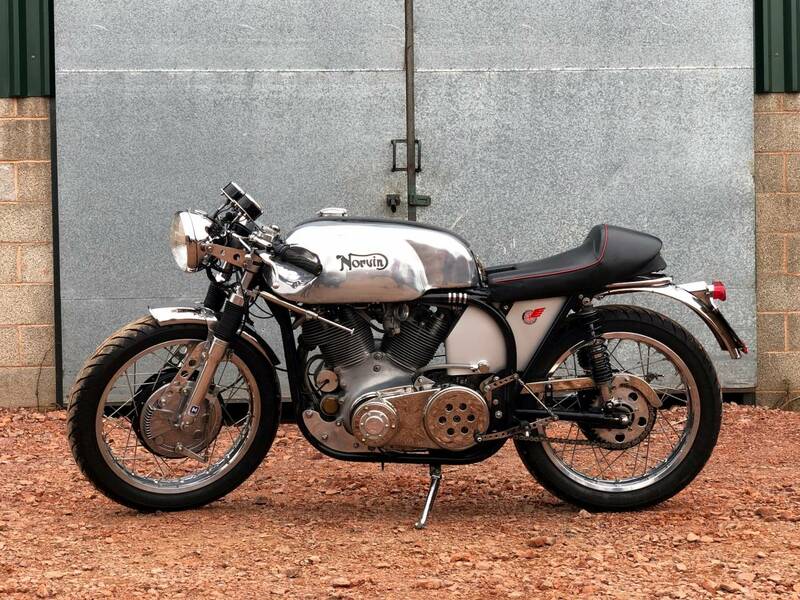 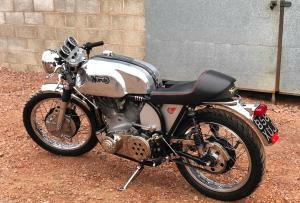 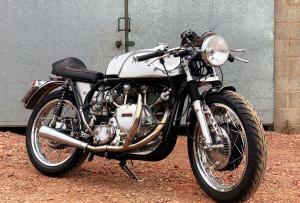 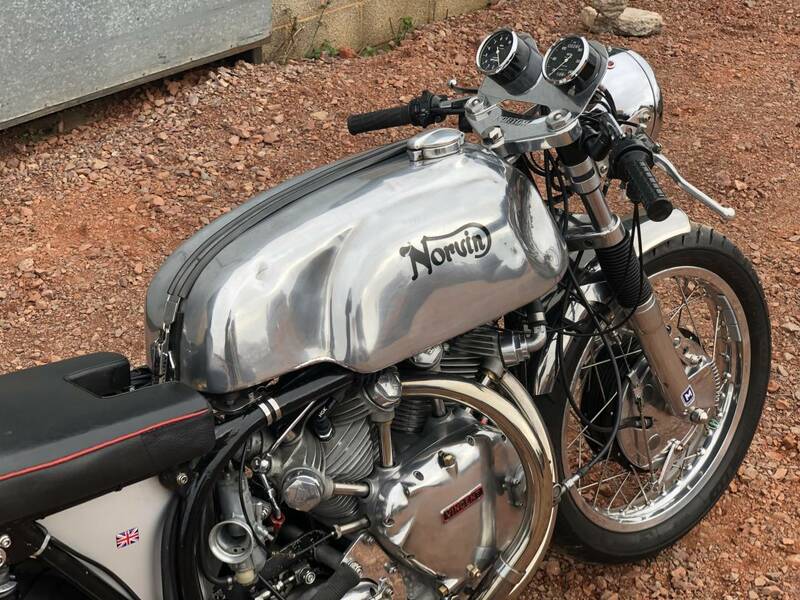 The Ultimate British Cafe Racer . 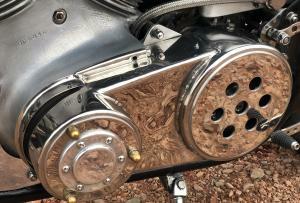 A Superb Riders Bike And Great Investment. 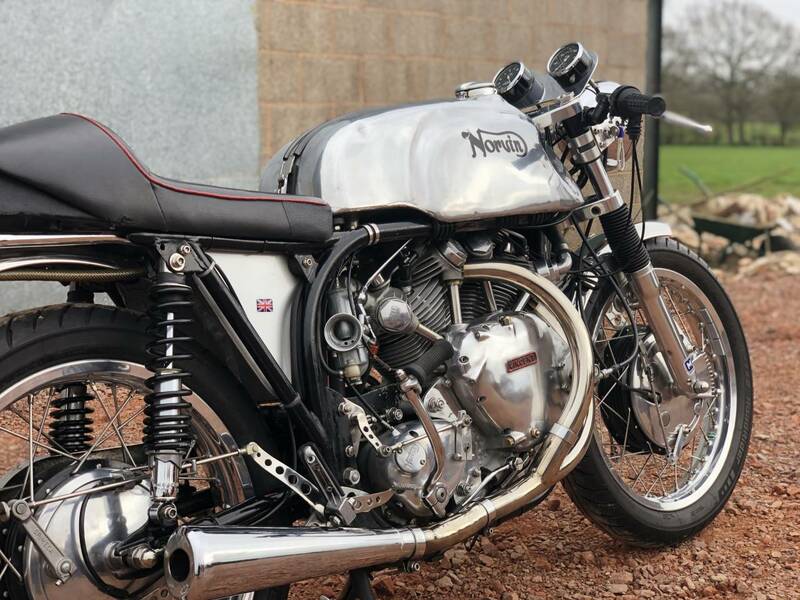 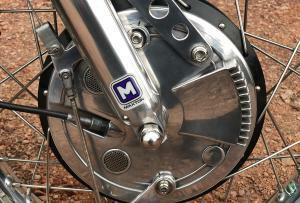 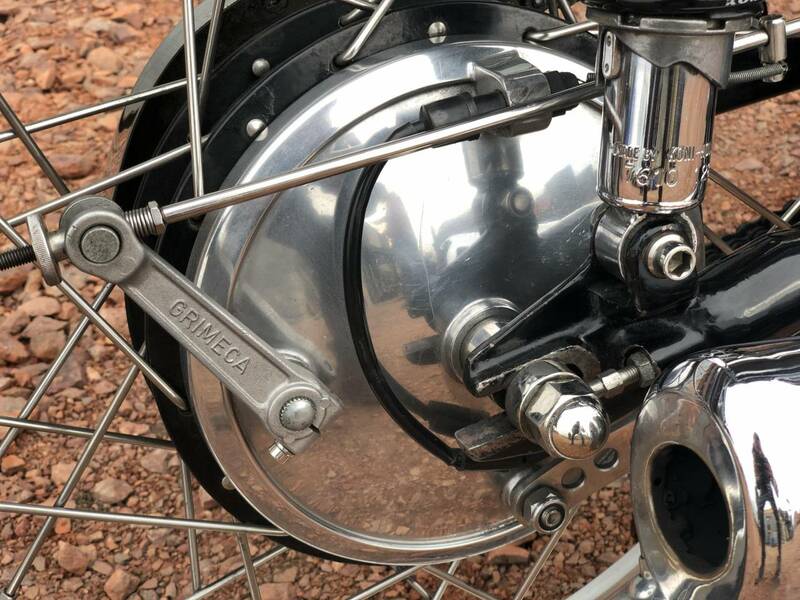 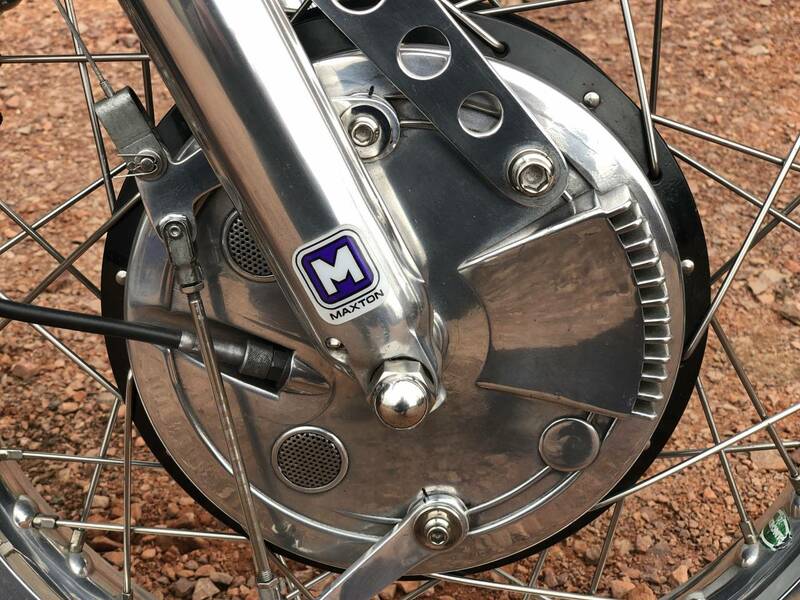 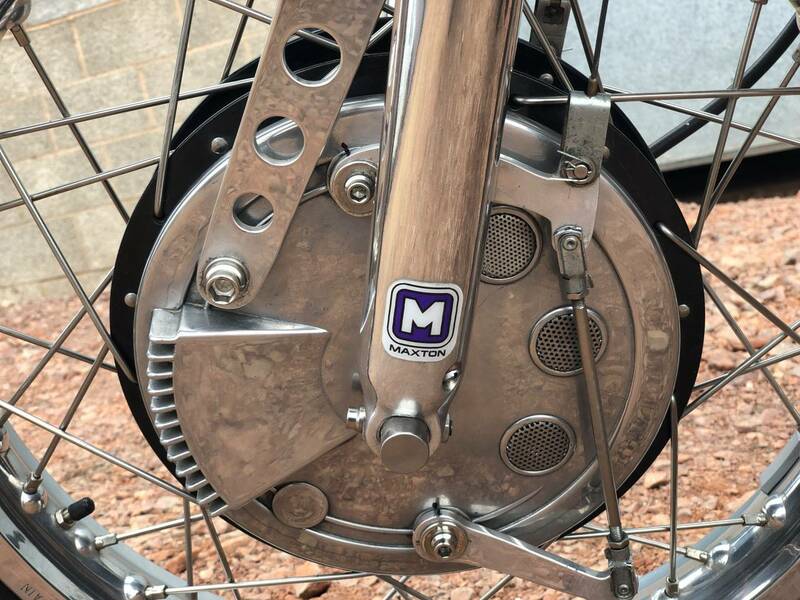 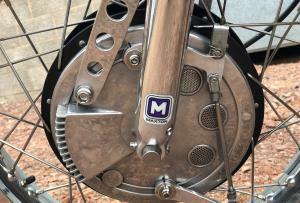 The fuel tank is signed with the initials 'B/M', which we are advised stands for Graham Bonny and Clive McDougal, who raced the machine up to 1978. 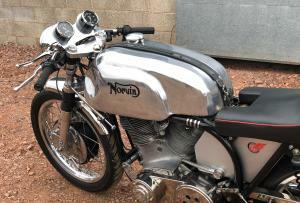 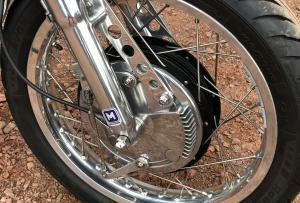 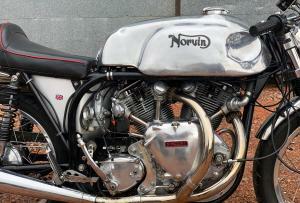 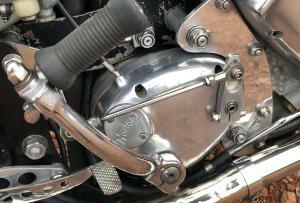 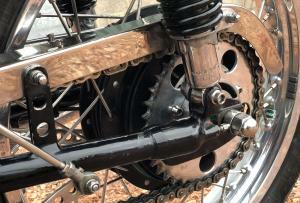 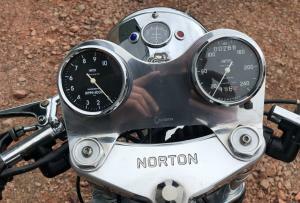 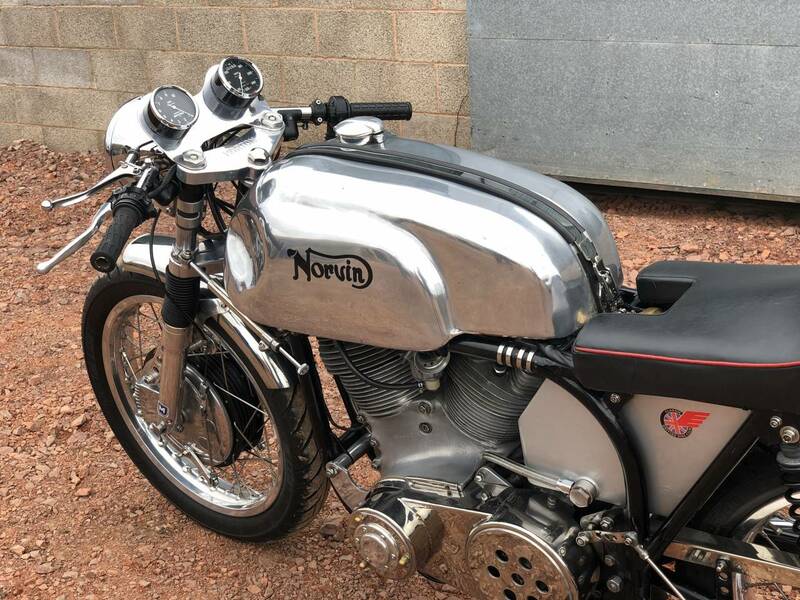 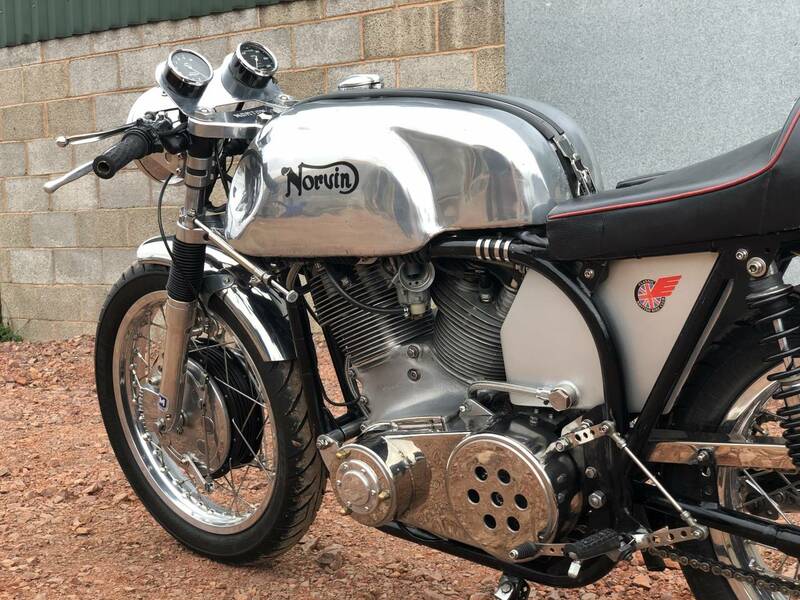 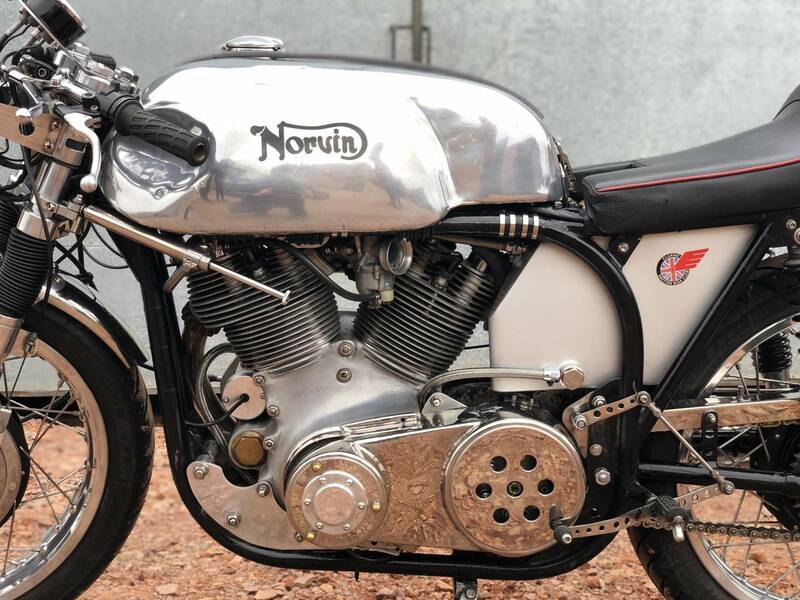 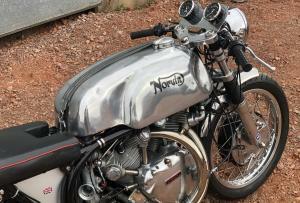 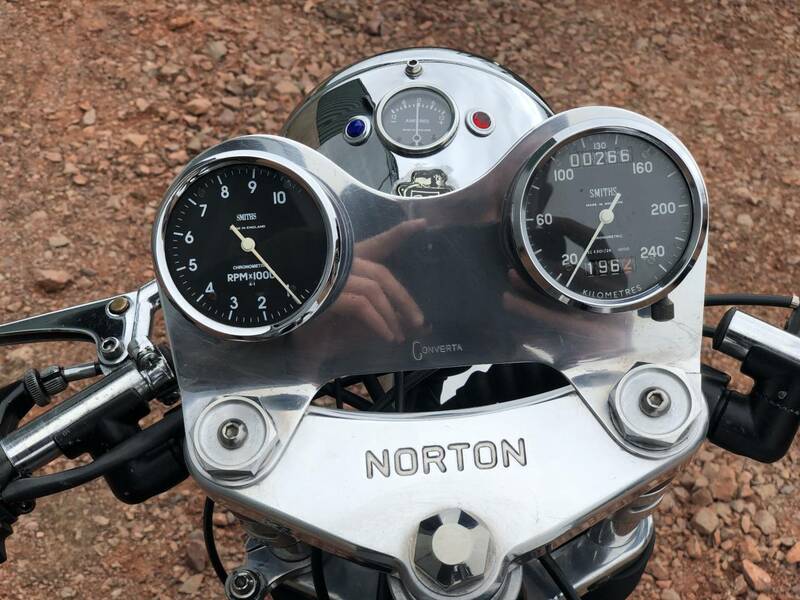 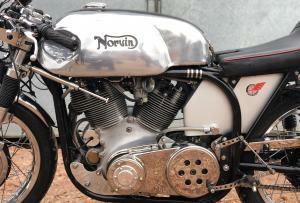 In 1996 the Norvin was fully restored over the course of the next three years. 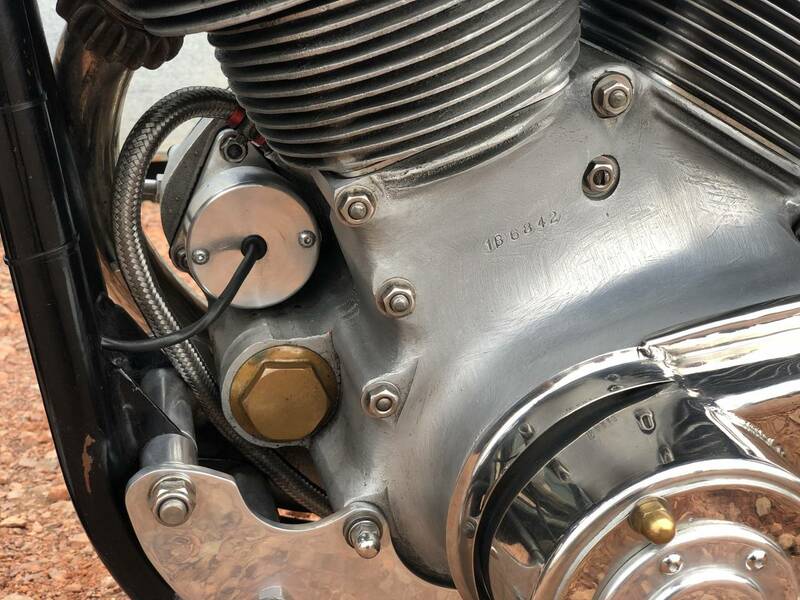 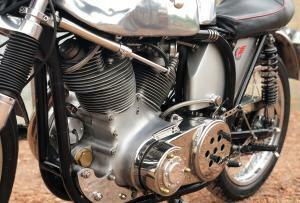 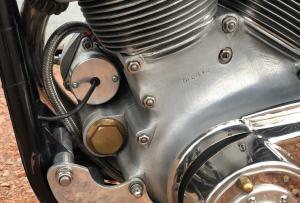 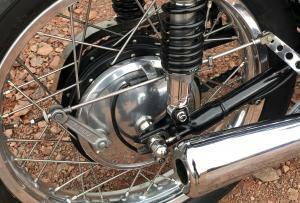 Its specification includes an engine bored to 1,200cc and overhauled by Bob Dunn, cams made by Eric Kruse in Germany, Amal Concentric carburettors, Norton/AMC gearbox, Bob Newby belt primary drive complete with outrigger bearing, Lucas 12-volt alternator, large capacity alloy fuel tank, alloy wheel rims, double-sided front brake, steering damper and matching Smiths instruments.